Betsey Johnson accessories and apparel are 50% -80% off at the sample sale. Through 4/16/10: Millennium Broadway Hotel, 145 W. 44th St., nr. Sixth Ave., sixth fl. Elie Tahari Menswear, womenswear, shoes, and handbags are 70 to 80 percent off at their sample sale. The black jersey jeweled halter dress is $129 (originally $698) and metallic leather sandals with beaded detailing are $99 (originally $498). 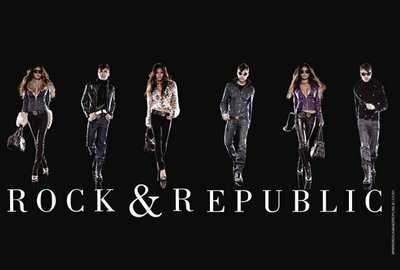 Rock & Republic is having their first warehouse sale! All denim is only $80. You'll also find men's, women's and kid's, denim, tops, outerwear, cosmetics and accessories. Marc by Marc Jacobs on 4/15/10, alson on Gilt. Earnest Sewn for men and women on Ruelala.com on Thursday 4/15/10.